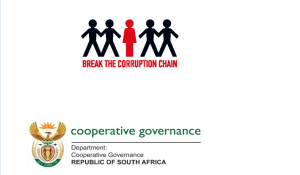 The Department of Cooperative Governance in partnership with the Department of Public Service and Administration (DPSA) as well as the South African Local Government Association (SALGA) has reviewed the 2006 Local Government Anti-Corruption Strategy and also developed the Municipal Integrity Management Framework and the Implementation Plan. The Strategy sets out the strategic objectives to be pursued by municipalities in terms of preventing and combating corruption. The Municipal Integrity Management Framework sets out municipalities responsibilities in terms of implementing the strategy.